Counsel and advice to any company that has employees, concerning all areas of the employment relationship, including the creation of policies and handbooks.Do you have employees that work for your business, or have you been discriminated against at your job? Employment law covers a wide variety of issues, and a complex network of laws that control how employers must treat current and former employees, and even applicants for employment. Royal & Miles LLP represents employers and businesses in employment matters. 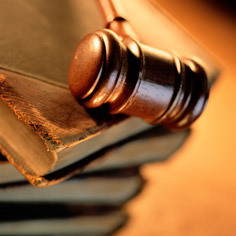 The firm has significant experience in interpreting and construing state and federal statutes and case law in areas such as employment discrimination, affirmative action, sexual harassment, employee benefits, whistleblower litigation, wrongful discharge, employment contracts, the Americans With Disabilities Act, the Family Medical Leave Act, the Worker Adjustment and Retraining Notification Act, the Federal Employer’s Liability Act, the Occupational Safety and Health Act, and special laws governing municipal employment. Our attorneys have further counseled and advised businesses on human resource issues, employee handbook formation, and generating policies and procedures to protect your business.